The Conference was briefed on the results achieved after 20 years of construction and development of IZs by the Deputy Director of the Bacninh IZA. The meeting also heard the opinions expressed by Mr. Tran Duy Dong, the Director of the Economic Zone Management Department, MPI; the comments from representatives of infrastructure companies and enterprises in the Bac Ninh IPs. The Conference was honored to hear the speech by HE.Mr.Nguyen Tu Quynh, Deputy Secretary of the Provincial Party Committee, Chairman of Bac Ninh People's Committee. 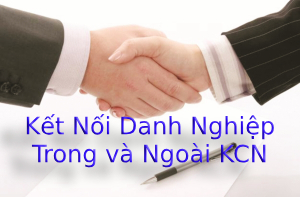 On behalf of Bac Ninh Industrial Zones Authority, I would like to express my sincere thanks for your comments. We do accept and commit to well implement your guiding ideas. At the Conference today, the Bac Ninh Industrial Zones Authority is very honored and proud to receive the First Class Labor Medal awarded by Mr. Nguyen Nhan Chien, Member of the Party Central Committee, Secretary of Provincial Party Committee, Head of Bac Ninh National Assembly Delegation, on behalf of The Party and State. 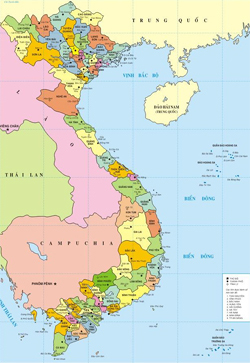 Once again, on behalf of the Bac Ninh Industrial Zones Authority, I wish to continue to receive the attention, direction and guidance of the Government and Ministries, Central Agencies, the Provincial Party Committee, People's Council, People's Committee, Provincial Committee of Fatherland Front; the coordination of departments, committees, mass organizations and localities in the province; the cooperation and exchange of experiences of management boards of industrial zones and economic zones; the trust and support of the community of investors, businesses. Particularly, we would like to express our sincere thanks and hope to continue to receive the contribution of former leaders of the Bacninh Industrial Zones Authority. We would like to express our sincere thanks to the correspondents from the central and local news agencies and newspapers, and the provincial radio and television reporters who attended and reported the Conference. Finally, I solemnly declare the Conference to summarize the 20 years of construction and development of industrial zones and receive the First- Class Labor Medal of the Bacninh Industrial Zones Authority came to the end here. Best wishes for your health, happiness and success.